The International Service Committee can present training material suitable for a club meeting or international committee meeting to help a club understand international service opportunities and select an appropriate project. The Committee can also provide speakers for a wide variety of international service projects and issues. 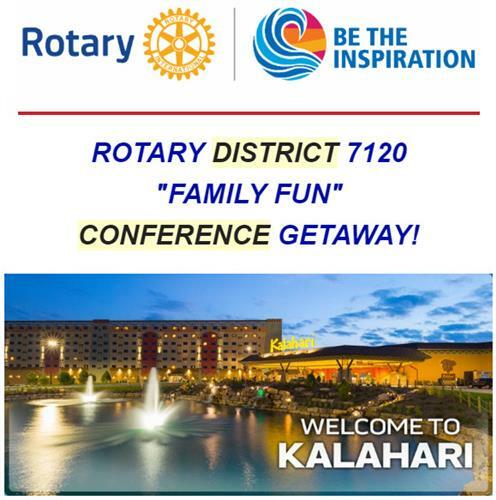 If your club is interested in training or speakers, please contact PDG Bill Gormont, D7120 International Service Director, 585-227-9760 or click here to Email Bill. People and their families around the world struggle every day to fight disease, obtain adequate health care, find food drinkable water, strengthen their economies, provide education and so much more. There is no one-way to carry out an International Service project. When it comes to implementing a project, creativity and imagination are the keys to success. Projects may be as diverse as assisting in a donkeybreeding program in order to provide a less expensive means of farming; helping establish a medical complex or blood bank that will serve thousands of people; or drilling potable water wells for a school or even an entire village. Sadly, none of that will happen, unless people who can help, take that first step. That’s where Rotary’s International Service provides the opportunity to make an extraordinary global difference. The “How To” Roadmap of Effective International Service program delves into the reasons why involving ourselves, our families, fellow Rotarians and neighbors with International Service is so important. During this program . . . This program provides you with the background, process, tools and inspiration to make “The Difference” for people around the world. Everyone knows that Rotarians Join Leaders to Exchange Ideas and Take Action. Don’t wait. The people of the world are counting on us. As our district’s International Service Chair, I’ve developed this 20-25 minute program to promote International Service awareness and to share the incredible resources that exist within our district. If you want to begin your international service work or make your existing service efforts more productive, then this program is for you. To schedule this program for your club meeting simply contract PDG Bill Gormont and together we can help you begin making a bigger, bolder difference for a brighter future. A major source of International Service efforts is The Rotary Foundation (TRF). Speakers on various topics of TRF may be found at the Links to the left of this page - D7120 Foundation Speakers Bureau.